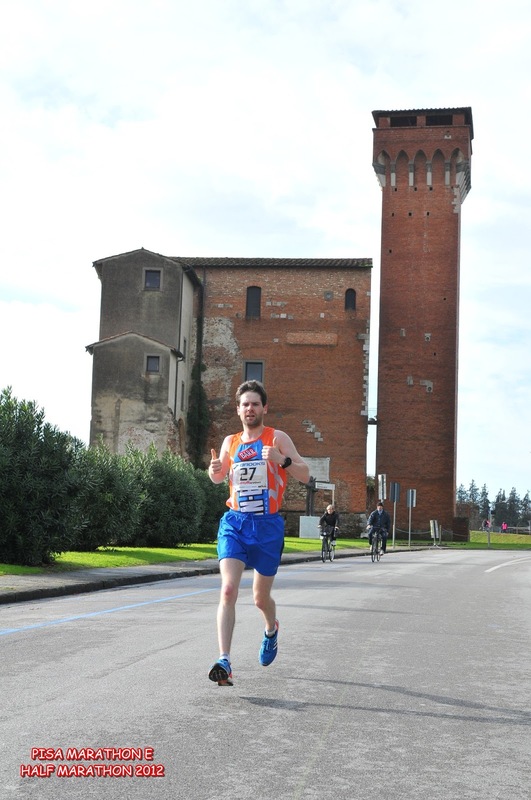 I have finally pressed 'Publish' on 3rd February, well over a month after the Pisa Marathon on 16th December. Evidently it's taking me progressively longer to complete my event write-ups. At one point growing up I wanted to be a journalist but I don't think I'd have gotten very far missing deadlines by weeks instead of hours or minutes. Maybe I waffle too much as well. So I need to ask you to rewind back a couple of months. For me the weeks leading up to a marathon are very nerve-racking. 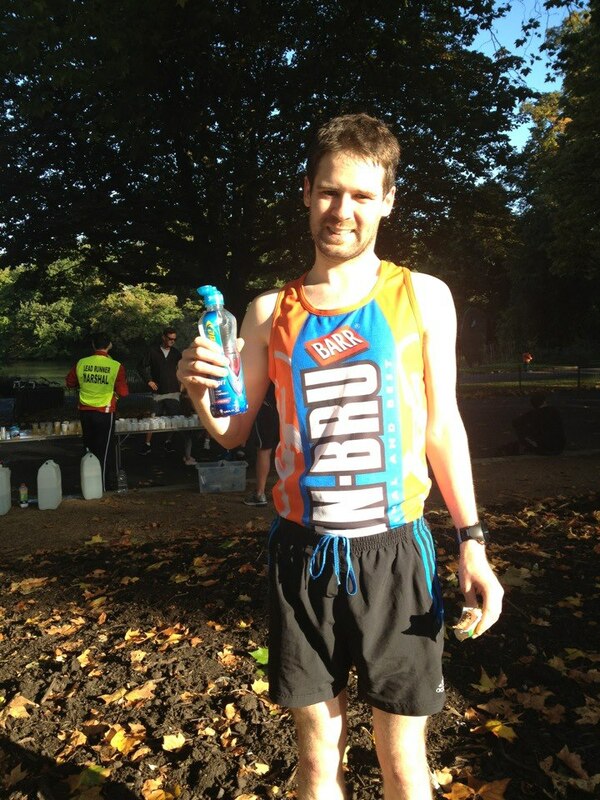 I get into race preparation mode the minute I enter an event. Furiously creating a training schedule that is destined to be disrupted by injury, illness and other unplanned factors. You start thinking about your body a lot more. Giving more consideration to what you eat and drink (or don't drink!) and giving more TLC to your muscles and joints. With a few weeks to go there is still intense training to be done and with a couple of weeks to go it’s all about trying to get the taper right and ensuring you make it to the start line without injury or illness. 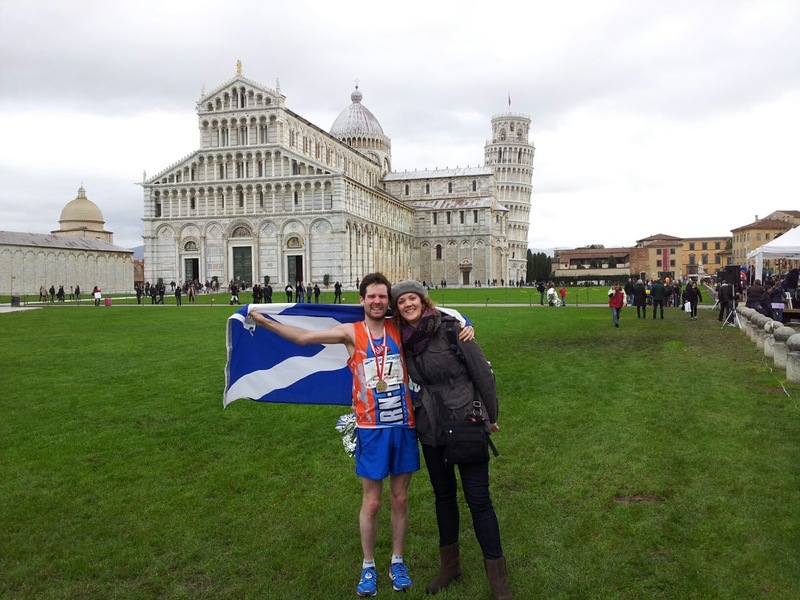 I was especially apprehensive about Pisa because of the short time I’d had to train and the extra logistics and considerations involved in running a foreign marathon. 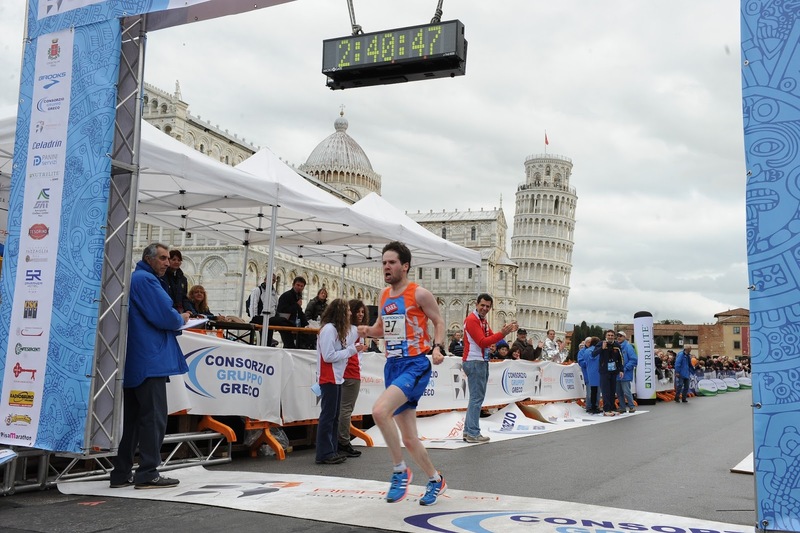 I was beginning to wonder if running Pisa was perhaps one of my poorer life decisions. Everyone kept telling me that I had done all the work and would be fine. But I wasn't convinced that I’d put enough miles in and it felt I was trying to "wing it" a bit. Don’t get me wrong the training was constant and tough but I didn't think I’d there'd been a long enough period of it. The training aside, there also seemed to be so many uncertainties with it being a foreign race. Would our flight be cancelled? What would the hotel be like? Would I be able to eat the right food on the morning of the race? Would I make it to the start line? Did I need to learn the Italian for "start"? Fortunately I wasn't going to be experiencing it on my own as Sarah was joining me to support and try and make a weekend of it. After a pretty hairy Ryanair flight complete with an aborted landing we were just glad to be on terra firma again and without too much delay. Conveniently the race expo where runners pick up their race numbers and timing chips was at the airport! 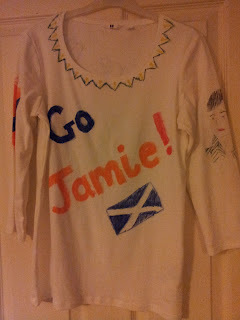 I picked up my envelope and a goody bag which included the official race t shirt and a fetching bandana! Yes bandana, not banana. Soon after we checked into the lovely Hotel Bolgna I went for a 20 min jog up and down the river a few times. There were a few other runners out there with the same idea as me. After clarifying the breakfast arrangements at the hotel we ambled up towards the famous leaning tower to have a quick look and find restaurant for dinner. It was surprisingly difficult to find somewhere suitable but we settled for an ‘Italian’ a few minutes’ walk from the tower. We had a plate of pasta and then headed back to the hotel for an early night. I was glad to have Sarah’s company to help the usual nerves the night before a big race. I was so nervous that I just wanted to get it over with and was working out in my head what times I would settle for. At that point I’d certainly have settled for a PB; qualification for London didn't seem to matter any more, despite being the whole reason I had entered this race. After a couple of pep talks from Sarah it was time to put head to pillow and I managed to get to sleep surprisingly early. Unfortunately we were woken by revellers coming back into the hotel at 4.30am. It could have been worse, at least that was only half an hour left before my breakfast! For breakfast I was inspired by an article I’d read in a recent edition of Runners World which suggested runners should be eating an 1000 calorie breakfast 3 or 4 (ideally 4) hours before a marathon. This should including a certain percentage of carbs. An 1000 calorie breakfast was a daunting prospect before 6am and significantly more than I've consumed before a race before. Fortunately the hotel allowed me to attack the buffet at 5.30am instead of the usual 7am. I opted for 2 boxes of cornflakes, a banana, a bag of raisins, a roll and a pot of yoghurt with some granola I’d brought from London and some orange juice. I was bursting at the seams, it was very uncomfortable. For the next couple of hours I supped on my PowerAde and gave my body a chance to digest all of that and then tackled one of my special energy carb bars which is an unpleasant experience at the best of times. But I would be glad for it after 20 miles of running and depleting energy stores. Between eating I tried to relax and stay awake. With the race start position being so close to the hotel and it being a fairly small race there was no rush for us to leave the hotel. The start of the race was quite bizarre. Sarah and I made the short walk to the race start next to the Tower. There were a few people already running around the streets but I thought I’d be best conserving all my energy for the 26.2 miles to come. There were runners everywhere, some entering the marathon, some the half and some a Christmas fun run. There was a guy with a microphone making various announcements and we managed to work out where the start line was and the direction of the race! 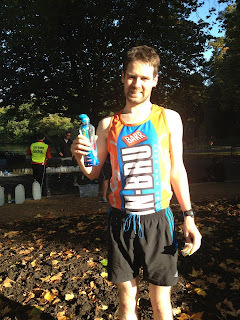 With about half an hour to go I gulped down my first energy gel and we snapped some pre-race photos as is now customary. I left Sarah and got into position close to the start line. I recognised a Serpentine club running vest and got talking the wearer who I was impressed to hear was aiming for around 2 and a half hours. I certainly wasn't going to be following him! The start was quite confusing, mainly because of the Italian announcements although in fairness some of it was being translated into English. However there was also a group of people with balloons right at the start line towards the left. There was then an announcement which sounded like they were telling us not to start just yet – and then the people with the balloons started running. Anyway, not much longer after that the starting pistol was fired and the race was off for real. Fortunately as I always try to get myself as close to the start as possible I don’t have the issues that many people have with taking a while to get across the start line. In the London Marathon if you’re in one of starting pens towards the back it can take as long as 20 minutes after the race start to reach the start line! I headed off a bit faster than my goal pace but not as stupidly fast as I normally do. The advice is generally to aim for your goal pace or slightly slower in your first mile and then try and get yourself into a rhythm in the next few miles. It was great to see Sarah waving the Saltire and shouting my name on the first mile and at that point I realised that the job had started. The first 10K pretty much passed without incident although there were a few annoying moments. There seemed to be a lot of ‘support cyclists’ cycling alongside their athlete, even passing them a drink when required. Not really sure how much good it did them judging by the number of them I passed with ease while they seemed to be panting with exhaustion after only a few miles. At one point I also had to sprint in front of a woman who seemed to be blowing here nose in my direction. Lovely stuff. 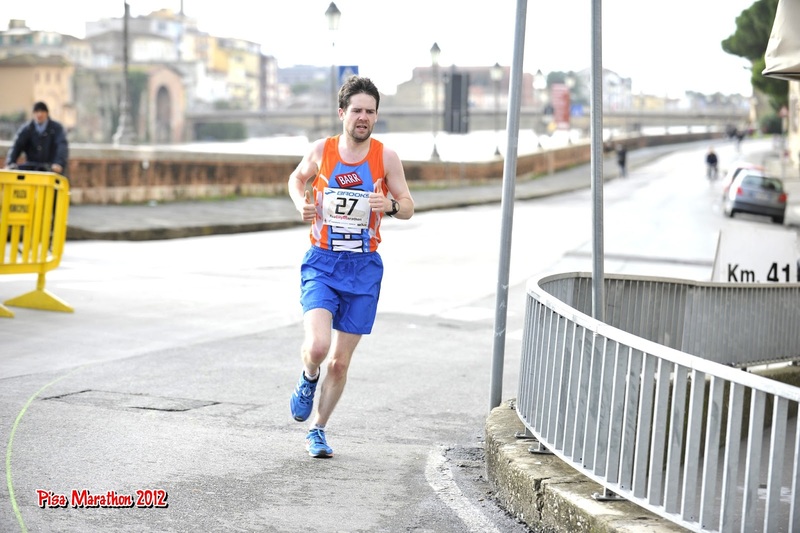 Other than than it was turning out to be a very pleasant run in the Italian sun. After a few miles we came out of the city and into the Tuscan fields. It was nice to see some Italian countryside for the first time. It's not quite the Highlands but I'm sure it's lovely in the heat of Italian summer. My first real challenge was to come in a Tuscan field. 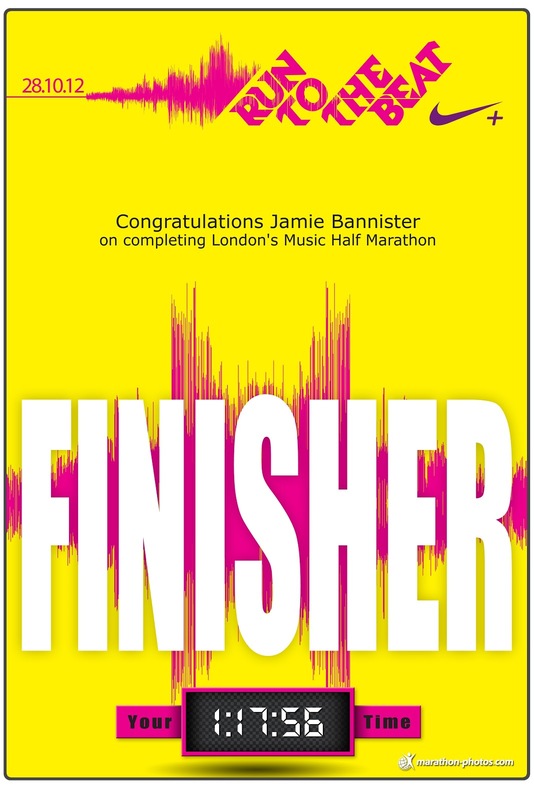 At about 10 miles, I realised the race was splitting up into 2 for the half marathon and marathon - I hadn't really thought about this eventuality for some reason. Unfortunately for me I couldn't see any signs and the directions were shouted out only in Italian! The race flashed before my eyes. I frantically looked up and couldn't work out from any signage. I panicked big time but eventually I shouted out in my clearest voice, "which way for marathon", which translates into "which way should I ran for the marathon?". I was told to go left but I wasn't really convinced I’d gone the right way until I passed the 13.1 mile mark. Coming towards the halfway work we went along the Marina di Pisa. This provided for a pretty windy section of the race. I tried my best to run behind other runners or on the side of support cyclists in the hope that the wind resistance would affect me less. I overtook quite a few guys who seemed to be struggling at this point. After this the 2nd half of the race became very lonely as there was no one in sight behind me or in front of me. 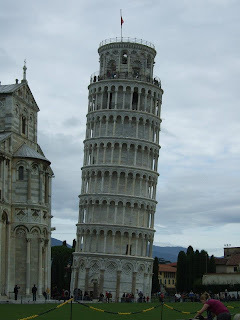 There were also very few Pisa residents around and most of those who were only showed indifference. I got a lot of stares and photographers snapping but not many shouts of encouragement. 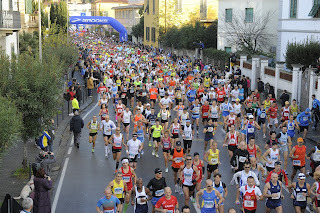 There was even a sign on a café Window which read “Marathon no grazie”. 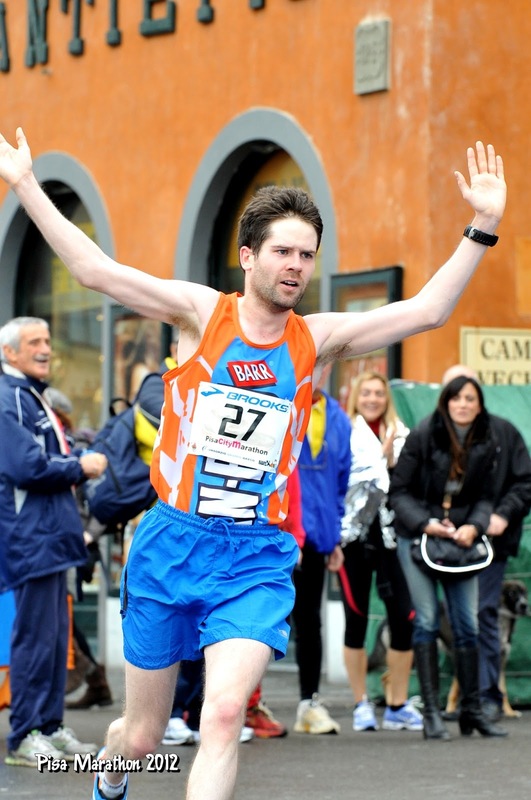 Clearly the Pisans don’t hold their marathon in the same regard as the likes of London and New York. It wasn't all bad though and one of my highlights was a brass band on the street who I assume were playing for us. I also experienced some more bizarre behaviour but this time from a couple of water station attendants. The guys giving out the bottles and cups of water hold the bottle out for you and as I went for one the guy pulled it back! This happened not once, but twice! I couldn't understand it but I just got on with it and picked something up at the next station. With every mile I was amazed that I was maintaining my pace so well. I was just expecting at some point my legs would go and it’d be a gradual decline like previous marathons. But I even managed to pick up my pace at one point after 20 miles. I'm convinced that my carb loading, especially on the morning and during the race contributed to my endurance. I had another bizarre experience at water station at 20+ miles. A guy was holding out a cup of what I assumed was juice. I grabbed it was a little surprise to find that it was a hot brown coloured drink. I'm not sure whether it was a really sugary cup of tea, a special energy drink, or something more sinister! Anyway, I had a sip and then chucked it. The third water station that I'd failed to get a drink! It was massive relief to see the Pisa sign with a few miles to. The closer to the finish I got the narrower and windier the streets seemed to become, back in the city. I knew by the 3 mile to go mark that I was actually going to do finish in under 2:45 never mind get a PB. But for some reason I had no idea of how much I was going to smash it. As I approached the last corner I saw Sarah who shouted “You’ve got 5 minutes!”. Then I saw the clock and it was still on 2:40! I did a sprint finish with my arms in the air and crossed the finish line with great emotion. 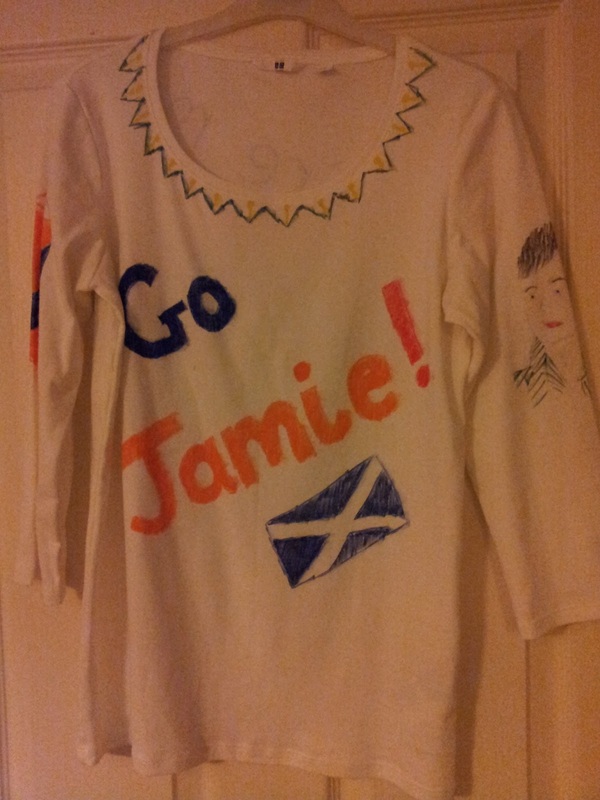 I ripped my vest off and took the plaudits from the crowd. I cried with joy. I stumbled off the course and then tried to find Sarah on the grass next to the tower and we celebrated my PB and qualifying for London with joy and relief. Later that evening we learned my chip time was 2:40:45 and I’d finished 14th overall. I'd proved to myself that I still had it in me and I felt a massive sense of relief after 2 years of injury, effort, time and money. During the race I was thinking about what I was going to write in my blog. I was going to write what I’d learned from the race and the training I had completed. I suspected I’d be writing negative things such as "don’t sign up for a marathon only 2 months in advance" and make sure you do more training. Instead I've learnt that you should follow your instincts and take risks (at least sometimes). 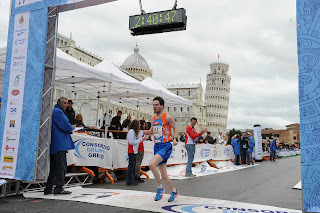 I ran Pisa to qualify for London and I did. To quote Darren Tanner, it’s belief and commitment that you need. It was brave decision to sign up for Pisa and I certainly applied myself in the weeks leading up to it, leaving as little to chance as possible. 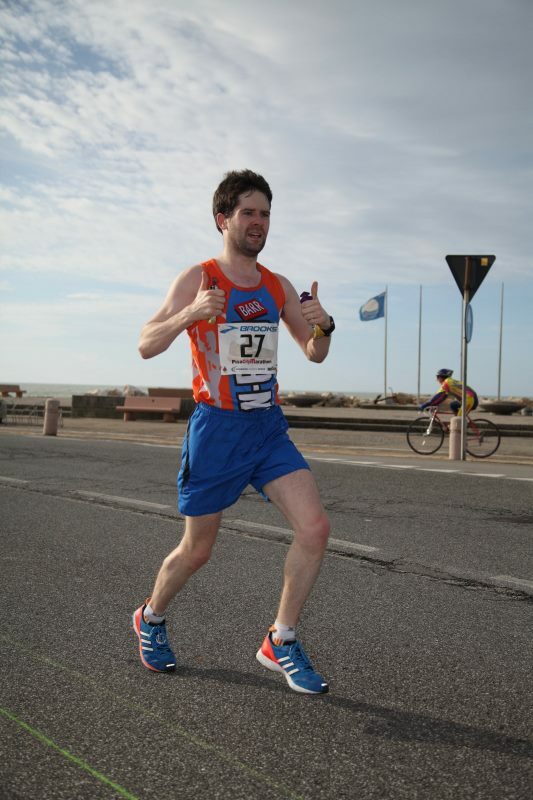 I also improved as a marathon runner. I felt so much more comfortable during the race. I imagine this was at least partly down to Pisa lacking the heat of Edinburgh 2010 and the hills of Loch Ness. Nonetheless I was pretty consistent with my splits and it's given me the confidence to trust in my body I now have the confidence to run even splits and feel I've grown as a marathon runner. It’s also satisfying that my marathon times have improved each time. Let’s hope this continues in 2013, London here we come! Thanks again to all those who supported me and followed my updates on the blog and on facebook. It genuinely helps when you're in the middle of a marathon that seems like it's never going to end to be able to remember all the people you have rooting for you. 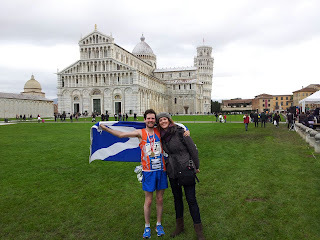 Special thanks to Sarah for helping me so much in the weeks leading up to the race in practical and mental sense, putting up with my dirty running kit and for making the trip to Pisa to support me, and of course to my family who without their encouragement and support I wouldn't be running in the first place. I am also lucky to have a lot of running friends (they know who they are) whose advice is always invaluable and I hope it keeps coming. Finally a blog update! Yes I am still here and I am still running and running and running and running. Shamefully my last post appears to be 31stJuly 2011! Sorry about that! Not that much of note has happened running wise between then and August 2012. This has been the result of my persistent shin splints, a couple of failed comebacks and the small matter of my ‘real work’ at London 2012 which among other commitments involved 12 hour night shifts. Saying that at no point did I give up on the running despite so many setbacks. During that period of a year I tried more solutions to my injury and always kept pounding the pavements to some extent. More physio, more podiatry, more stretches, more gadgets, more miracle cures….I thought I’d tried everything but there always seems to be something else to spend my money on in the hope that all my problems will be solved! I might blog about some of these when time allows - I can't describe how frustrating it is to spend so much time trying to get to the bottom of it when it just keeps reoccurring. It's a long walk home when you feel that injury come back during a run after weeks of thinking you'd sorted it out once and for all. A MASSIVE thank you to everyone who has supported me during my injury journey and put up with my moaning and running-related moodswings! Anyway........POSITIVE THINKING as for now I seem to have kept the shin splints at bay and have managed over 3 months of relatively pain free training including some races which you can read about below! It has taken me a while to write these up and they are horribly out of date but hopefully they'll still be of some interest. If you're reading this looking for a solution to shin splints I'm afraid I still don't have the answer. I have been consistently stretching my calves and getting regular deep tissue massages though which I'm sure has contributed to my recovery. So what's up next? 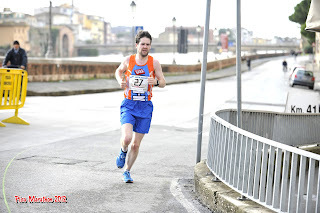 Well I didn't announce it on the blog at the time so for those who don’t know, I took the plunge and signed up for the Pisa City Marathon which takes place on 16th December. WHY you ask? 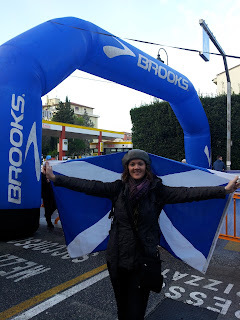 A marathon in December in a random European city? 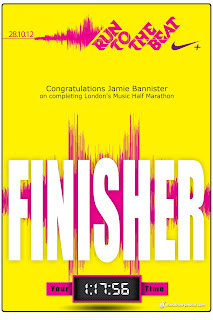 Well my main motivation for this one is the chance of a qualifying time for London Marathon 2013. 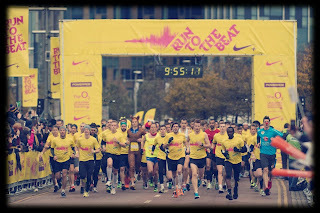 I have had to pull out the last two years because of the injury so I'm desperate to get on the starting line in 2013. 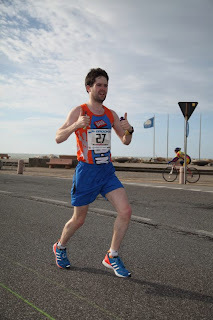 My original plan had been to qualify with a half marathon time, but I started to realise that this wasn't realistic and in the end decided I’d have a better chance of cracking the marathon qualification time which requires a sub 2 hours 45 mins marathon. This compares to the sub 1 hour 15 mins half marathon I'd have needed. I need to apply before the end of the year so in terms of timing Pisa fitted the bill. It's also flat and won't be hot so there's good PB potential. I shouldn't have to worry about getting some pasta the night before either. Fortunately Sarah is joining me and we're making a weekend of it so I won’t be making the trip to Italy on my own. On the day I post this update, I have less than 2 weeks to go and have already started my ‘taper’, gradually reducing my mileage. My main aim is to avoid getting a cold within the next 2 weeks so I'm in peak condition on the start line. If I'm honest I really don’t know whether I’ll be able to make the time or not. My PB is 2:47:51 so I'm only 3 minutes off but it's a lot more than it sounds and that was over 2 years ago. I should get close to it but a marathon time is hard to predict and the distance has to be respected. I didn't really give myself many weeks to train either so wasn't able to reach the mileage I wanted to. On the upside, Pisa won't have the hills of Loch Ness and the heat of Edinburgh so as long the snow stays away I could have a chance. 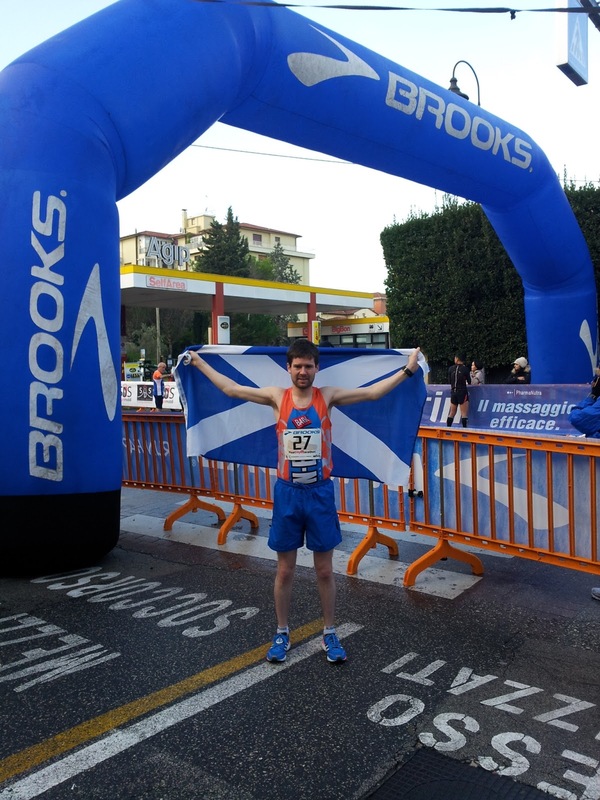 If nothing else it'll be good to get another marathon under my belt as it's over 2 years since Loch Ness and it'll be an experience to race in a foreign land. 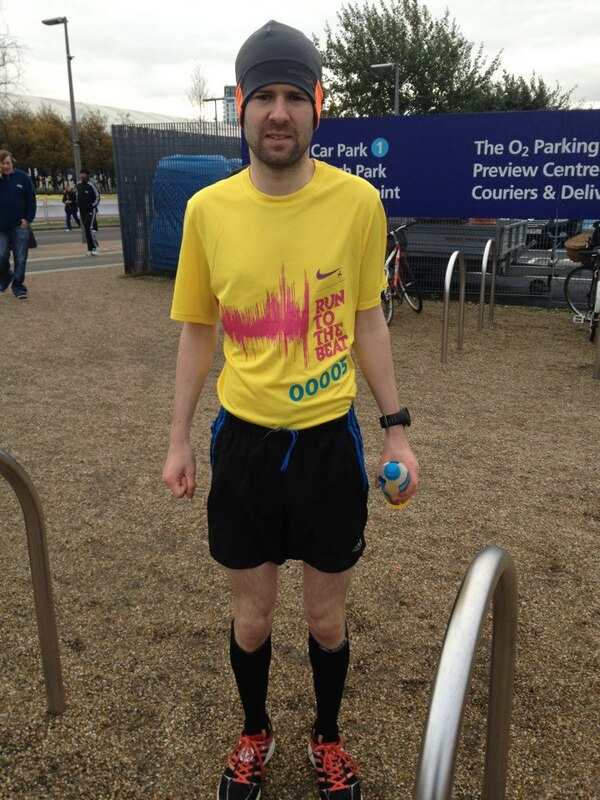 Next up in my bid for qualification for London Marathon 2013 was a 10K. 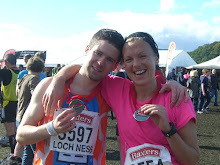 The last time I’d raced in a 10K was the very same race in August 2011. Sadly it was after this very race that I my shin splints reoccurred again and I was to be sidelined for a significant time. In order to improve your marathon time you need to be able to run your 10K splits in a certain time so I was doing this 10K to both get some race practice and to see how was speed was progressing since I'd started training again. One of my key training sessions in the build up to a 10K is going down to track and running 5 times 2km intervals at slightly faster than 10K pace with 90 seconds rest between each interval. It was an extremely early start in leafy Battersea Park. But the perfect conditions made up for the early rise. It was chilly but calm, crisp and beautifully sunny. My aim in this race was to try and improve on last year’s time but also to try and get more consistent with my pacing, after my poor splits in Maidenhead. This time I managed to resist the urge of charging out early. This seemed to pay dividends early in the race as I was whizzing past other runners who it seemed had made the mistake that I usually make. That said, my pacing still wasn't perfect with a whole 19 seconds between my slowest and fastest kilometres. I didn't go over 6 minute miles though and posted a decent time of 35:40, finishing in the top 10. The finish was a little disappointing. In the final straight I was neck and neck with another guy. I turned on the booster switch and overtook him assuming that I’d be able to hang on but he trumped me with his own sprint finish and I’d already given too much. This actually turned out to mean I missed out on a trophy as they are given out for places 1-7 within each age group and this was a battle for 7th for males under 50. It’s not a bad feeling to have finished a 10K before 9am on a Saturday though!